Because of our years of experience in South Florida, Indiana, Michigan, and Alabama property management, we are able to offer an unprecedented value to our residents, and an unbelievable opportunity for our partners and clients. Other property management companies in Florida, or in any of our four states of operation simply can’t hold a candle to the service and value we provide at each and every location. Team up with AMP today! I've come to meet several AMP employees over the course of the past 2.5 years and I've yet to come across someone who wasn't welcoming or inviting. They are very positive hard working people and the company has a lot of opportunity for growth. I'm more than thankful to be part of the company and thrilled to see where my journey with them will take me. AMP Residential aspires to be the multi-family property management company that cares the most, both for its residents and its employees. Our dream is to deliver the moon to everyone we meet. Our Team is dedicated to creating exceptional communities that exceed the expectations of our clients and residents, while providing our employees a company culture that embraces a team approach, personal growth and new ideas. We strive to design communities that offer residents a place they look forward to coming home to, employees a company they are proud to be a part of, and results that WOW our clients! We differentiate ourselves from the competition by providing a high level of service to the property owner, to our employees and most especially to our residents. Because of this philosophy, it is imperative that each of our employees has a “can do” attitude and an inherent willingness to “go the extra mile” when it comes to resident services. Michael Humphrey serves as Chief Executive Officer of Apartment Management Professionals, LLC (AMP Residential). 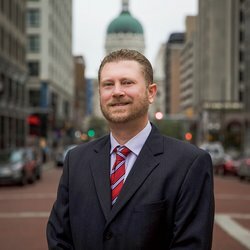 Mike is a Licensed Indiana Real Estate Broker and a Certified Property Manager (CPM®) through the Institute of Real Estate Management. Mike is currently serving a two-year term on the Indiana Apartment Association Board of Directors. Mike earned a BA degree from the University of Northern Iowa in 1987 and has been active in the Multi-family housing industry since 1990. 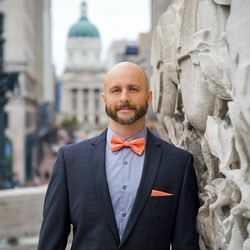 Mike’s experience consistently places him in leadership roles in all facets of multi-family property management and he demonstrates excellent abilities to take on challenges big and small and determining best course of action with a mind to both short and long-term effects. He has a strong ability to identify and develop talent and, in doing so, foster an atmosphere of teamwork, dedication and loyalty. Mike has a tremendous comfort level in dealing with owners, management company support staff, mortgage brokers, third party inspectors and bank asset managers. Mike is able to manage the various financial and time constraints involved with multi-million dollar renovations. He is well experienced in all phases of property management including the following; due diligence inspections, acquisitions, lease-up, bank required repairs and associated draws, dispositions, refinance, contract negotiation, hiring, training and development of staff, wage and hour law, fair housing law, disciplinary procedures, client relations, financial review and budget production – both cap-x and operations, physical property inspections and risk management. AMP Residential manages over 8,000 apartment homes in Alabama, Florida, Indiana, and Michigan. Pamela Lovell currently serves as Executive Vice President for Apartment Management Professionals, LLC (AMP Residential). Pamela received her Bachelor’s Degree in Management from Oakland City University and has achieved the designation of Certified Apartment Portfolio Supervisor (CAPS) through the National Apartment Association. Pamela worked for 10 years in hotel management before joining the multifamily industry in 2007. Pamela has previously managed a portfolio of properties in Evansville, Indiana, as well as the 1638-unit southern region for AMP Residential. Pamela has experience in successfully overseeing multi-million dollar renovation operations and repositioning projects, both in the hotel industry and in the multifamily industry. Additionally, Pamela is a leader in the industry in the markets she represents. She has previously served as President of the Apartment Association of Southern Indiana, President of the Hotel Association of Greater Evansville; Member of the Board of Directors for the Greater Birmingham Apartment Association and on the Board of Directors for the Alabama Apartment Association. She currently serves as Vice President of Property Management Association Western Michigan (PMAWM) and Treasurer for Property Management Association of Michigan (PMAM). Pamela is results-oriented and brings a strong dedication and work ethic to every mission and is excited to help residents AMP up their lifestyles, help employees AMP up their careers, and to help investors to AMP up profits!! Denise Haggard currently serves as the Vice President for Apartment Management Professionals, LLC (AMP Residential). In her role, she is responsible for the leadership and financial success of a portfolio of communities located primarily in Indiana, Florida and Alabama. In addition, she oversees a portion of the corporate operating departments including IT and Pricing. 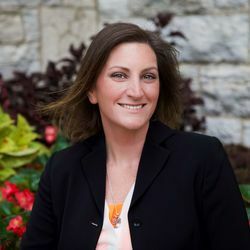 Denise has over eighteen (18) years of experience in the multifamily housing industry, beginning her career in an aggressive student housing market near Indiana University. She has an extensive background in multi-family conventional, student housing, new construction, retail and has overseen multi-million dollar renovation projects. Denise studied business management at Indiana State University. She is a Certified Property Manager (CPM) through the Institute of Real Estate Management (IREM). Additionally, she holds her Certified Apartment Property Supervisor (CAPS) designation and her Certified Apartment Manager (CAM) through the National Apartment Association. Denise is an active member in the Indiana Apartment Association where she has chaired the Ambassador Membership Committee in past years. She has served on the board of Directors for the Monroe County Apartment Association located in Bloomington, Indiana. She is also active in both SWFAA and SEFAA in the Florida Apartment Associations respectively. 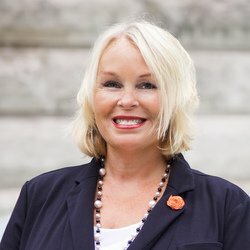 Denise was awarded the prestigious award of the Grace McFadden Property Manager of the Year in 2009 by the Indiana Apartment Association and numerous other awards within the industry. She enjoys teambuilding and mentoring others as they build careers in the apartment industry. Claire Allen serves as the Marketing & Social Media Manager for AMP Residential. Claire began her career in the Multi-Family Housing industry as a Leasing Consultant where she excelled at customer service, marketing, and sales. Claire spearheaded her community’s outreach efforts to local businesses and made significant improvement to the community’s name recognition and reputation in its submarket. Prior to joining AMP Residential Claire led the sales and marketing efforts at a Continuum Care Facility. Claire has contributed greatly to the marketing efforts at AMP; she launched property video tours for the company in 2018, has overseen multiple website refreshes and consistently educates and aides the entire company in the marketing department. Shaun Childress serves as Director of Facilities for the AMP Residential portfolio. Shaun’s primary focus for AMP residential is to manage the numerous bank required and owner approved capital projects for each region. Shaun also serves as a mentor to his service technicians in the field by performing quality and safety inspections of the grounds, building exteriors, common areas, amenities and the maintenance shops. Prior to his promotion, Shaun served as Regional Maintenance Supervisor for the Indiana, Alabama and Florida Regions. Shaun and his team routinely receives customer service recognition from industry professionals and residents alike. Amy Donker currently serves as Regional Property Manager in AMP Residential’s Michigan Region, with properties in Grand Rapids and Mount Pleasant. Amy was born and raised in West Michigan and attended Grand Valley State University. She began her career in property management in 2011 as a Leasing Consultant and was quickly promoted to Property Manager and then Senior Property Manager. She is an active member of the Property Management Association of West Michigan as a volunteer on the Membership committed and previously served on the Board of Directors from 2013-2017. Additionally, she received her Certified Apartment Manager designation (CAM) through the National Apartment Association in 2016. Amy is not only a great coach at work, she’s also a proud mother with two boys. Ashley Edwards currently serves as Regional Manager in AMP Residential’s Michigan region. 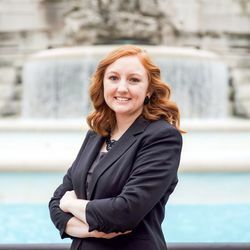 Ashley began her career in property management after earning a Bachelor’s of Business Administration with a major in Finance and Management from Grand Valley State University. Ashley holds the Certified Apartment Manager (CAM) designation and Certified Apartment Property Supervisor (CAPS) through the National Apartment Association and supports her local Professional Management Association (PMA) chapter. Ashley began her career as a Leasing Consultant and was quickly promoted to Property Manager. Her experience includes multi-property management, project management, multi-million-dollar capital projects, and rebranding of conventional housing. In addition, Ashley gained valuable experience in asset management and marketing while overseeing high rise developments in downtown Chicago, IL. Her industry experience in both tier one and tier two markets allows Ashley to manage a balance of associate satisfaction and profitability. She is a leader with high standards who focuses on the development of AMP associates, which results in greater resident satisfaction. Ashlee Finnerty currently serves as Regional Property Manager of Apartment Management Professionals, LLC (AMP Residential). Her duties include oversight of seven Indiana based multifamily communities. Ashlee began her property management career in 2007 as a Leasing Consultant and within two years was promoted to Property Manager. Ashlee is known for her creative ideas, resident functions, willingness to go above and beyond, and “get it done” attitude. 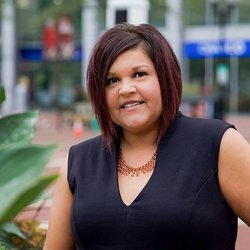 Ashlee has won several awards throughout her property management career including Outstanding Performance in 2011, a platinum award for Best Property in 2012 and Regional of the Year in 2017. Rebecca Foote serves as the Talent Acquisition Specialist for amp Residential. Rebecca studied Business Administration at Ferris State University. She began her journey in property management as a Leasing Consultant in 2010. Within a few short years, Rebecca was promoted to an Assistant Property Manager position at a community with over 700 units and eventually accepted the role of Community Manager at a 240-unit, tax credit property. Later, Rebecca was promoted to Sr. Property Manager, where she managed operations for two, conventional apartment communities totaling 336 units. During this time, one of the communities that she managed completed construction to add an additional 106 luxury apartments to the community, bringing the total unit count to 442 units and allowing Rebecca to manage and participate in a lease-up of new construction. Rebecca also received her Certified Apartment Manager (CAM) designation through the National Apartment Association. Rebecca’s positive attitude, industry knowledge, desire to provide exceptional customer service, strong work ethic, determination to succeed, and team-building skills have allowed her to step into her current role. As the Talent Acquisition Specialist, Rebecca has a passion for seeking out the best talent for amp Residential while using her site-level background to maintain a thorough understanding of staffing needs. She enjoys having the opportunity to help cultivate a positive team culture with engaged employees. Rebecca is always willing to help on-site teams and co-workers in any way she can. Rebecca is of the mindset that happy and engaged employees produce happy and engaged residents. She believes that it’s truly an amazing time to be employed with amp Residential— the company is seeing exponential growth rates in many areas, employees are consistently provided with training and educational opportunities to learn and grow, residents throughout the properties managed by amp Residential love where they live, and employees throughout the company love where they work! Rebecca currently resides in Grand Rapids, MI with her miniature dachshund Riley. Joanne Giacomantonio joined the Amp Residential team in 2017 with over 20 years of industry experience. Joanne began her Property Management career in 1991 after graduating from Central Michigan University with a degree in Interior Design and Marketing. Joanne's past experience includes sales training, branding, re-positioning and new construction. She has earned her NALP Trainer certification through the DMAA and is the 2018 recipient of the GLAStar Executive of the Year Award . Joanne is passionate about all facets of Branding and Marketing and utilizes her education in Interior Design to create models for our communities. Joanne currently resides with her husband in the metro Detroit area and is the proud mom of two son attending Western Michigan University. Christie Hulst serves as the Marketing Coordinator for AMP Residential. 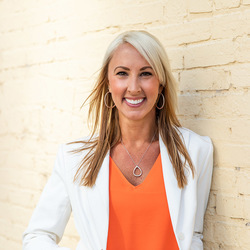 Christie was born and raised in Grand Rapids, Michigan and in 2004, cultivated her passion for sales by becoming a leasing professional and working her way up to manage the first community she worked at. Christie’s positive attitude, high energy and jubilant personality within the field of marketing continues to engage new clients throughout many industries. Christie has aided amp Residential by implementing new strategies and an effective approach on bringing qualified business to our portfolio. She is always willing to help our teams in any way she can. In 2018, AMP Residential accepted fourteen awards from the Property Management Association of Michigan and Detroit Metropolitan Apartment Association. Christie was instrumental in AMP winning these prestigious awards. She truly believes in the One-Team, One-Vision mission that AMP stands for. Outside of work, Christie enjoys cooking, hunting, riding her pink motorcycle and spending time with her family and friends. Jennifer Love currently serves as Regional Property Manager in AMP Residential’s Michigan Region, with properties in Lansing, Okemos and Bath. Jennifer was born and raised in the Mid-Michigan area and attended Bay State College in Boston MA. She began her career in property management as a Leasing Consultant in 1996 in the student housing market. She then continued her career with a REIT working in the conventional market as a Property Manager. Bringing 20 years of industry experience, Jennifer began her AMP career in December of 2016 as a Property Manager and was quickly promoted to Regional Property Manager. She is an active member of the Property Management Association of Mid-Michigan. Her strong work ethic and determination to not only meet but to exceed goals, allowed her to lead her team to win an award for Property of the Year in 2017. Outside of work, Jennifer enjoys spending time with her family and friends and volunteering with a local Veterans organization. Lesli Mack serves as Office Manager at AMP Residential. Lesli began her career in property management in 2007 and has held many positions including: Leasing Consultant, Assistant Manager, Property Manager, Customer Service Manager, and Maintenance Coordinator. With over 20 years of experience in the multi-family housing industry and a track record of strong performance in high-volume, high-pressure environments; Lesli skillfully manages an array of property management duties and client relations at AMP. In her role as Office Manager, Lesli provides support to the Executive Management team, Corporate Staff and Property Managers. Her robust industry knowledge and efficient handling of responsibilities ensures smooth operations at AMP. Jimmy Phillips serves as the Director of Operations for AMP Residential. 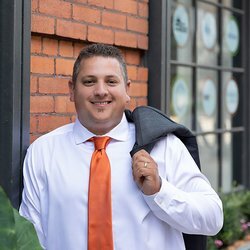 Jimmy’s primary focus for AMP residential is to oversee the Regional Managers and operations for the Michigan portfolio. Prior to joining the AMP residential team, Jimmy successfully owned and operated a commercial and residential construction company. Jimmy is a licensed builder and he has a degree in business management from Cornerstone University. 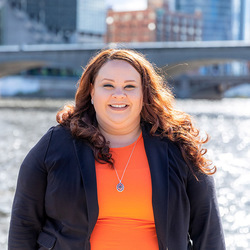 Born and raised in Grand Rapids, MI, Leah started her professional development by graduating from Grand Valley State University with a degree in Advertising and Public Relations. Shortly after graduating, Leah got a job as a Leasing Consultant for a community with over 300 units. With what started as a job, quickly became a passionate career for Leah. Shortly after joining AMP Residential in 2014, Leah earned the prestigious GLAstar award of “Leasing Person of the Year” for over 300 units. Her unsurpassed dedication to superior customer service, fine attention to detail, advocacy for all residents, industry knowledge, team building, and leadership development quickly led her to a role of Regional Manager. While overseeing 6 communities, Leah leads her teams with confidence, empathy, compassion and empowerment; all while having the determination to not only meet but exceed financial goals. She provides her teams with the tools they need to succeed while offering gentle guidance and assistance along the way. Leah earned her Certified Apartment Manager certification in 2017. When Leah is not busy at work, she enjoys spending time outdoors with her family and her new puppy, Cherokee. John Rincones currently serves as IT Services & Software Support Manager of Apartment Management Professionals, LLC (AMP Residential). John received his Bachelor of Science Degree from Indiana University Purdue University of Indianapolis (IUPUI) in 2006. John is a certified RealPage Trainer for affordable, conventional, and tax credit platforms. John received his Housing Credit Certified Professional Certification (HCCP) in 2012 and his Assisted Housing Manager Certification (AHM) IN 2013. John began his career in the multi-family housing industry in 1999. He has held many positions ranging from Lifeguard to District Manager and most everything in between. Prior to his current position, John served as Director of RealPage Training & Support with another management firm. Christie Upp serves as the Director of Training for AMP Residential. Christie began her career in Property Management in Indianapolis, IN in 2003 as a Leasing Consultant. She was a Community Manager for 10 years, managing a 582 unit property, while helping to oversee two additional properties. Later, she also managed a 402 unit new build for nearly five years. Christie transitioned to Regional Manager in 2013, overseeing as many as 2,500 total units including multi-million dollar renovations, new build lease-ups and conventional re-brands. Before she began her career in Property Management, she taught elementary school and later on, students with learning disabilities. Christie has a Bachelor's Degree in Elementary Education from Ball State University. She is also credentialed as a Certified Apartment Property Supervisor (CAPS) Certification through the National Apartment Association. She has the work ethic and heart of a teacher, but now dedicates her time AMP-ing up the lives of employees. John Whisler currently serves as Pricing Advisor for AMP Residential. As Pricing Advisor, John works closely with Owners, Corporate Executives, and Property Managers to deliver pricing strategies and maximize revenue opportunities for more than 30 properties. With 13 years in the multi-family industry, including: Maintenance, Leasing, Property Management, and Information Technology, John also oversees the Risk Management division of AMP Residential. José Zúñiga-Roehler serves as Director of Human Resources at Apartment Management Professionals, LLC (AMP Residential). José is a memeber of the Society of Human Resource Management and holds a Certified Professional designation through SHRM. 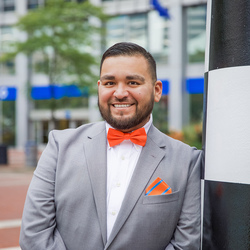 José also holds a Certified Apartment Manager (CAM) designation and Certified Apartment Portfolio Supervisor (CAPS) designation through the National Apartment Association. José began his career in property management in 2007 where he started as a Property Manager. José successfully served as Regional Property Manager for 2 years, overseeing several multimillion-dollar capital projects and conventional rebrands. Additionally, because José strictly implements best practices along with policy and procedure at his sites, many of his employees have been promoted over the years due to polished training. José’s previous experience in Human Resources created an opportunity for a promotion into the Director of Human Resources role. We are proud to be honored by Great Lakes Area Star Awards and Midwest Prodigy Awards for continued excellence in property management and leadership.